STOMP, the international percussion sensation, will return to Washington, D.C’s National Theatre from April 23 – 28, 2019. From its beginnings as a street performance in the UK, STOMP has grown into an international sensation over the past 25 years, having performed in more than 50 countries and in front of more than 24 million people. Tickets may be purchased at TheNationalDC.com, in person at the National Theatre Box Office (weekdays from noon to 6:00 PM), or by calling 1-800-514-3849. The National Theatre is located at 1321 Pennsylvania Ave. NW in downtown Washington, D.C. 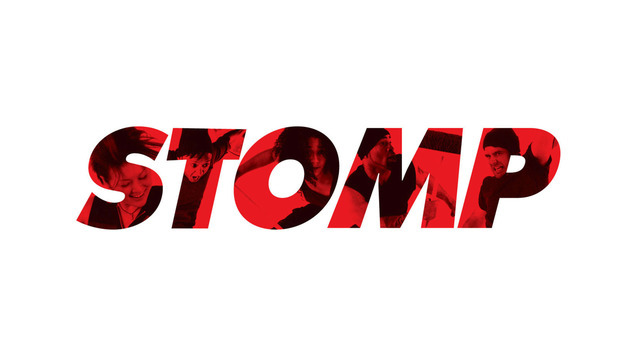 Created by Luke Cresswell and Steve McNicholas, STOMP continues its phenomenal run with four global productions: the ongoing sell-out production at New York’s Orpheum Theatre, a permanent London company, and North American and European tours. STOMP is explosive, provocative, sophisticated, utterly unique and appeals to audiences of all ages. The eight-member troupe uses everything but conventional percussion instruments – matchboxes, wooden poles, brooms, garbage cans, Zippo lighters, hubcaps – to fill the stage with magnificent rhythms. The return of the percussive hit also brings some new surprises, with some sections of the show now updated and restructured, utilizing props like tractor tire inner tubes and paint cans. STOMP is the winner of an Olivier Award for Best Choreography, a New York Obie Award, a Drama Desk Award for Unique Theatre Experience, and a Special Citation from Best Plays. In addition to the stage shows, STOMP has been an overwhelming success marked by rave reviews, numerous awards, an Academy Award nomination, four Emmy nominations and one Emmy Award for their acclaimed HBO special Stomp Out Loud, noteworthy TV appearances including The London 2012 Olympic Games Closing Ceremony, The Academy Awards (produced by Quincy Jones), Mister Rogers’ Neighborhood, and a series of award-winning international commercials. STOMP tickets may be purchased at TheNationalDC.com, in person at the National Theatre Box Office (weekdays from noon to 6:00 PM), or by calling 1-800-514-3849. For parking information, visit TheNationalDC.org/Directions-Parking/. For information about the National’s Restaurant Partners, visit TheNationalDC.org/Hotel-Restaurant-Partners/. Groups of 10 or more save on most performances. To book, contact our group sales department at groupsales@thenationaldc.com or by calling 202-753-6867 (weekdays from 10:00 AM to 6:00 PM). Two hours prior to every Broadway at the National performance show time, individuals may submit their names in person to be drawn to purchase up to two tickets at $25 per ticket (inclusive of all fees). 20 lottery seats will be available for each Broadway at the National series performance during the 2018-2019 season. Names will be announced thirty minutes after the entry period (90 minutes prior to the show). Individuals must be present, with cash, to redeem the offer.